Clenbuterol is not an anabolic steroid, but rather a stimulant that belongs to a classification of compounds known as sympathomimetics. This classification (or ‘family’) contains other compounds that the average person might be more familiar with, such as: caffeine, ephedrine, albuterol, amphetamines, cocaine, and many others. It is indeed quite a broad drug category, and each of the compounds in this family are related to each other, and more or less carry many similarities and operate in a similar manner through similar pathways. Clenbuterol’s effect on the nervous system involves its interaction with adrenoreceptors, which are located in many different tissues and cell types in the body. When Clenbuterol binds to these adrenoreceptors, different effects in different tissue types (depending on the tissues stimulated) will manifest. One effect in particular that we are concerned with is Clenbuterol’s effect in adipose (fat) tissue. There are two different adrenoreceptors in the body – alpha and beta receptors – and within those two different types, there are 9 subtypes. For example, alpha-1, alpha 2, beta-1, beta-2 receptors, etc. The difference between Clenbuterol and other compounds in the stimulant family lie in their different capabilities to stimulate different subtypes, multiple subtypes, or focus on one subtype. Clenbuterol in particular I known for its very strong and almost exclusive stimulation of the beta-2 adrenoreceptors, and therefore this is why Clenbuterol is commonly referred to as a beta-2 receptor agonist. 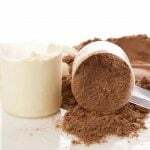 It is within fat tissue that, when beta-2 receptors are stimulated by Clenbuterol, initiate lipolysis (the breakdown of fat into free fatty acids). 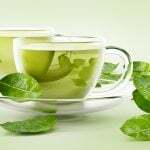 It has gained plenty of popularity among just bodybuilders and athletes because of this, but among entertainment celebrities, and by proxy, common people looking to drop a few pounds of fat. Clenbuterol’s original use as a medicine in the prescription drug market was (and still currently is) as a bronchodilator in the treatment of asthma. It is most frequently administered in this manner in asthma inhalers as the primary active drug in the inhaler. The use of Clenbuterol as an asthma medication is primarily a European medical practice, and in North America, Clenbuterol’s close sister compound Albuterol is utilized instead. Upon activation of beta-2 receptors in the cell lining of the bronchial tubes, it will initiate bronchial dilation (opening and expansion of the airways) in the lungs, nose, and throat. Almost all sympathomimetic stimulants exert this effect, but Clenbuterol and Albuterol are highly effective in particular for this purpose. Clen has also been used medically in the treatment of other conditions, such as hypertension, cardiovascular shock or slowdown, heart arrhythmias, migraine headaches, allergic reactions and swelling, histamine reactions, and anaphylactic shock. Although Clenbuterol is a beta-2 receptor agonist, it does exhibit effects on other receptor subtypes as well, with emphasis on the beta-2 subtype. By comparison, Ephedrine is known for stimulating multiple beta and alpha receptors by an equal degree rather than stimulation of one receptor subtype by a large degree. 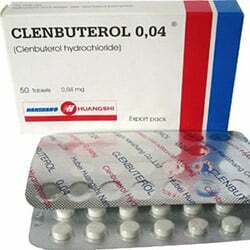 Clenbuterol is said to be anabolic in muscle tissue by many in the bodybuilding community. The truth is that Clenbuterol is only minimally anabolic in muscle tissue, and that this has primarily been found to be the case in animals rather than humans (which also requires a long period of use before any of these effects rise to any semblance of a measurable level). One important point of note is that through continued consistent use, Clenbuterol will downregulate beta-2 receptors in the body in response to its stimulation of those receptors, and it occurs very quickly. The manifestation of this effect is diminished fat loss during use until the fat loss reaches a complete stop. There are two methods of remedying this effect. 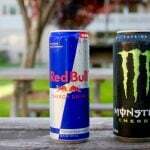 The first is to introduce time off from use of the drug (2 weeks minimum). The second is through the use of Ketotifen Fumarate, an anti-histamine drug that is known for upregulating beta-2 receptors. Benadryl has been rumored to have the same effects as Ketotifen Fumarate on beta-2 receptors, but this has found to be simply untrue because although Benadryl is an antihistamine like Ketotifen, it operates on a very different pathway. 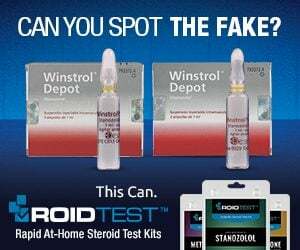 Being that Clenbuterol is not an anabolic steroid, it does not express or exhibit any of the known side effects that are associated with anabolic steroid use. Instead, Clen expresses side effects that are common to all drugs and compounds in the stimulant class. This means that many Clenbuterol side effects are similar to that of Caffeine, Ephedrine, and other stimulants to varying degrees. Clenbuterol side effects also include those that are considered somewhat unique to the compound that are unseen with other stimulants. Clenbuterol is most commonly utilized in cutting, pre-contest, and fat loss cycles. It is very rarely utilized during the off-season or during bulking phases. Some small fraction of Clenbuterol users might elect to use it during bulking phases in a (mostly vain) attempt to stave off fat gain during a bulking period where caloric consumption is much higher than usual, and normally above basal metabolic levels. The truth of the matter here is that those who elect to do this are essentially wasting time and money, as the mechanics of Clenbuterol do not even provide for this effect. 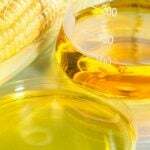 As previously explained, Clen is responsible for binding to receptors on fat cells and initiating lipolysis, which is the process of the release of triglycerides stored in fat cells into the blood stream as free fatty acids. 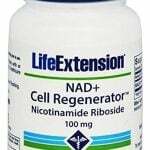 These free fatty acids then circulate around the bloodstream throughout the body, and they must undergo the second stage of fat loss: fatty acid oxidation. This means the fatty acids must be shuttled into cells and into the mitochondria to be ‘burned’ off, which cannot occur in any significant amount if caloric consumption is too high. Clenbuterol cycles can either be run solitarily (with no other compounds) on its own, or stacked with other compounds. Whether or not it is run alone does not change the manner in which Clenbuterol cycles are run. This means that Clenbuterol is either used in the 2 weeks on / 2 weeks off protocol (or for 8 constant weeks with the use of Ketotifen every second week). It is recommended that Clenbuterol not be utilized for more than a 12 week period in order to ensure the body’s cardiovascular and other systems receive an adequate rest from the compound. 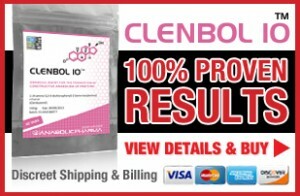 Clenbuterol is one of the most common fat loss agents in existence and is one of the easiest and most common compounds to buy on the black market (or even legally as a research chemical). Pharmaceutical grade Clenbuterol can range from $0.4 – $1 per tablet which is dependent on which pharmaceutical company’s products are purchased. Nearly all Clenbuterol tablets that are pharmaceutical grade are supplied in 20mcg tablets. It is not uncommon to see underground products dosed at 40mcg, 50mcg, and even 100mcg tablets with prices ranging from $0.4 – $2 per tablet. Research grade products manufactured by research chemical companies are almost always liquid products supplied with a dropper, or an oral syringe, or spray pump (where each spray is commonly measured to be approximately 20mcg per spray). Concentrations of Clenbuterol solutions in these liquid products are commonly 200mcg per ml in a 30ml bottle, with the price ranging from $40 – $80 per bottle (and dependent on which company it is purchased from). Due to laws in the United States, you can buy Clenbuterol widely for research purposes, but its almost always listed as ‘not for human consumption’.